Heavy duty on off rocker switch. 4" ozone output and fresh air input spouts. 6 year warranty! INDUSTRY'S BEST AND LONGEST WARRANTY! Secure mounting brackets for this unit are available. Built with commercial users in mind, this Super High output - High power Ozone Generator for Remediation, Fire damage, Flood damage, sterilization, disinfection, smoke damage, odor removal, auto restoration, Air purification, remove smoke, pet, hotel, black mold, home odors, and kill bacteria and bacteria odors. Adjustable commercial ozone generator. Available with 12 hour timer in addition to or in place of variable control. Industrial odor removal, bacteria, virus and mold decontamination, Remediation, fire damage from smoke, flood damage odors from mold, sterilization, disinfection, smoke damage from fire, and other professional applications! For commercial, professional use. This unit is an ultimate high output ozone shock treatment tool for the professional, or do it yourself homeowner. Whether you are a Real-estate agent selling houses, renting apartments, selling cars, freshening hotel / motel rooms, bedrooms or killing mold in your basement, this unit has the high output needed to get the job done fast. This unit will disinfect surfaces in a room very quickly - often 10 - 25 minutes, or handle a whole floor of a house, very large rooms, or business "ozone shock treatments." Many industrial applications! This unit will convert a smoking room into a non-smoking room very quickly. Bar and pool room owners, Restaurant owners, cleaning & Maintenance professionals, Garbage dump areas, and many others use these high powered ozone generators for many different tasks. Can be used for very large areas. The PRO 5,000 V comes equipped with 4" ozone output and fresh air input spouts. These spouts will hook up to a drier vent hose or 4" thin wall sewer pipe. 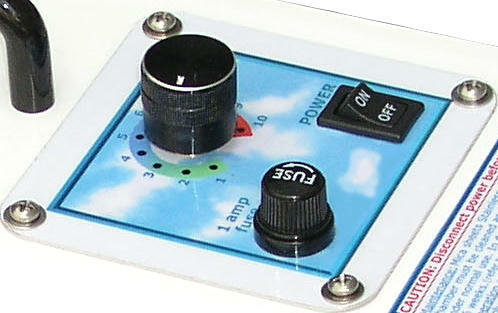 This feature allows the user to route clean dry air into the ozone generator or route the ozone to where it is needed. 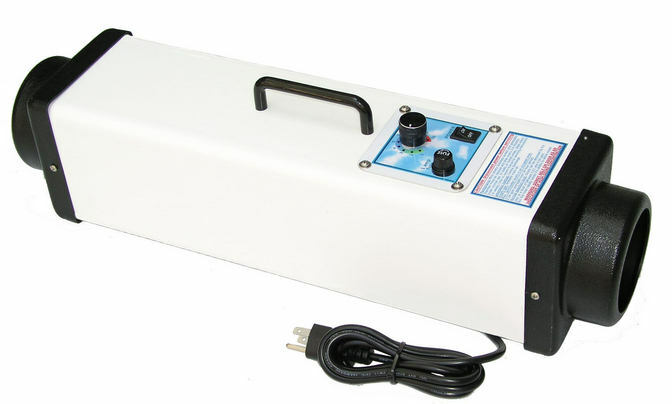 This ozone generator also produces negative ions like an ion generator, however, this is much more functional than a simple ionizer as ozone has germ killing action. This product requires occasional cleaning of the elements. This is as easy as following the procedure outlined in the user manual. The PRO 5000 is a commercial product that is not unusually difficult to set up. Most of the time, no adjustment or alignment will be necessary. Sometimes in shipping, one or more of the elements can shift if the unit is dropped more than a few feet from the ground. Fortunately, our elements will not break as most competitors will under these same circumstances (some competitors use glass or ceramic). When you receive this unit, it may be necessary to follow the cleaning procedure to align elements.